On racing action in small format? Can you have! 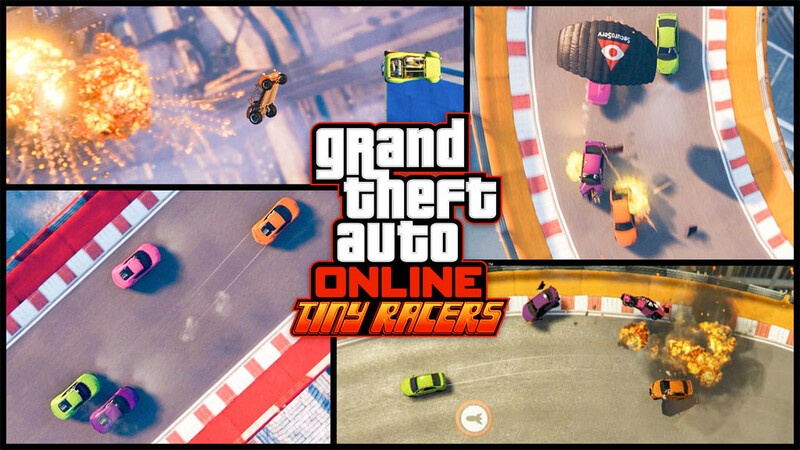 Rockstar Games provides " GTA Online " with a fresh game mode called "Tiny Racers". Not only the name reminds us of the racing games of the "Micro Machines" series, but also the content of the game is based on the concept of miniature racers. From the bird's eye view, you'll be able to deliver hot stunt races on the streets of Los Santos. It is necessary to eliminate your opponents to win a victory. In the foreground of the model-caric-like frenzy are tempo and madness. Fans of comparable classics like "Micro Machines" or "Motorstorm RC" will get their money's worth. In any case, the new variant is a welcome addition to the "Vehicle Vendetta" mode introduced in January. A trailer is the right thing to do. A little patience is however still in demand: The update is only available as of April 25, 2017 for download.